SAMPLES There are 20 products. ABS 50 gr (±5) 3D printer filament ø 2.85 mm sample. Colour: variable. Bundle Valentine3 reels of fantastic colors designed specifically for artistic creations of jewelry for Valentine's Day !! 50 gr (±5) 3D printer filament ø 2.85 mm sample. Colour: variable. 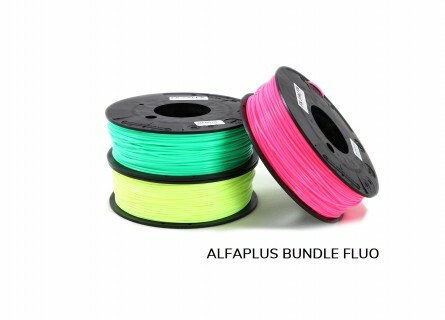 Technical Bundle3 spools of filament for 3d printing. 250 gr/each Try our technical fialaments.